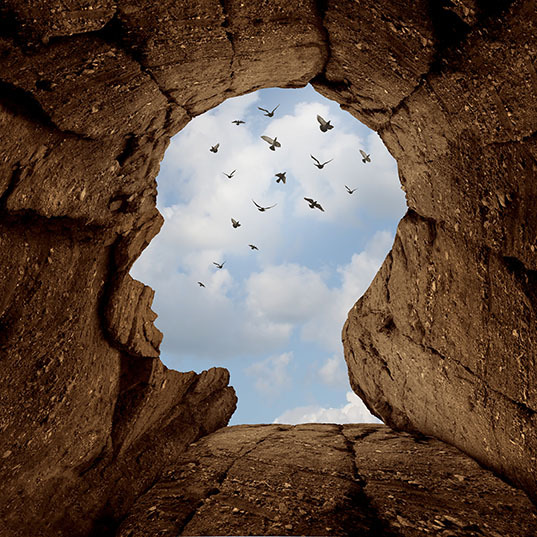 One of the most powerful mind-body tools is mental imagery. When used in clinical practice, it's called “Interactive Guided Imagery.” Thirty years ago few people were paying attention to nutrition and exercise. Now they are part of our basic understanding of health and are vital to the prevention of illness and the treatment of existing illness. Imagery is equally important as a tool that everyone can use to hasten their own recovery - a tool patients can “take home with them” and practice - a tool that helps people assume more responsibility for every aspect of life. Mental imagery is an important set of tools for optimal wellness and for tapping our innate healing resources. Several years ago Blue Shield of California began to pay for 3 alternative therapies — chiropractic, acupuncture, and interactive guided imagery. Like the other two, interactive guided imagery is an entire field. Imagery is not simply visualizing success. It's an entire field, with thousands of techniques. Psychosynthesis is an imagery-based psychotherapy modality created by Roberto Assagioli (1888 - 1974). To quote Assagioli, “Psychosynthesis is a method of psychological development and self realization for those who refuse to remain the slave of their own inner phantasms or of external influences, who refuse to submit passively to the play of psychological forces which is going on within them, and who are determined to become the master of their own lives.” Carl Jung, a friend and colleague of Assagioli, made imagery and symbolism the heart of his treatment approach. In order to help you gain mastery of your mind and to create “Mental Home Base,” a solid internal foundation, we use mental fitness techniques, targeted, simple tools for transformation. The core mental fitness techniques are: meditation, mental imagery, use of the breath, mood words, and body-centered-trauma-resolution (BCTR). In that article, only one imagery technique was introduced, to be used to help create mental home base. While there are a few meditation techniques, the number of imagery techniques is endless. So, what is this mental imagery? It would take a thousand words to explain what imagery is, but a picture is worth a thousand words, and a moment with imagery is worth a thousand pictures. Let's try this brief experiment to illustrate what imagery is all about. Without even closing your eyes imagine you are in your kitchen. Go to the refrigerator. Grab the cold door handle and open the refrigerator. Listen to the hum of your refrigerator. Take out a lemon and smell it. Is it ripe and a little soft, or a little too hard? Either way, pick up a sharp knife and cut the lemon in half and then in half again. Take the lemon slice and bite into it. A brief imagery, and yet you had almost all your senses involved within moments. If your eyes had been closed, the experience would have been more vivid and intense. Imagery is a much more powerful experience than the mere expression of words. If I had asked you to write down a description of a lemon, your mouth would not be watering. Imagery involves entering an altered state of consciousness in which you may experience one or all of your senses at the same time. In that state we don't interact with the world in the usual way and our everyday concerns and worries drop away, even if just for a brief period. In that altered state we tend to experience more, think less, and drop outdated, negative ways of thinking, feeling, and behaving. Then we can substitute healthier patterns. Imagery is a way of refining and organizing a “natural process.” Like a magnifying glass that focuses the sun's rays, imagery focuses what is already there. We all have immediate access to imagery at all times. In the clinical practice of imagery that natural process is focused so that specific problems can be quickly tackled. In general, interactive guided imagery is painless surgery. When people hear about mental imagery, they often think, “Oh, that must be visualization.” Close, but not quite! Mental imagery involves all five senses, visualization being one of those five. Most people think of imagery and visualization as tools to “see” success in some aspect of life. That is only a partial truth. In terms of practical applications, let's start with a simple technique of imaging what you want to bring into your life. In working with golfers, I've seen some big problems with an easy fix. One of those is the fear of hitting the ball in a lake or body of water. Imagery arises in the unconscious mind and the unconscious does not process “yes” or “no.” The golfer's mind is picturing the lake, and our bodies follow the imagery. So, if their focus is about not hitting the ball in the water, they are going to hit it in the water. To fix the problem, they need to practice visualizing the exact flight of the ball, where it will land, how the ball will bounce, etc. It's that simple. Some people are not visual-processors. One pro golfer could not “see” the flight of the ball. She is more kinesthetic (sense of touch), and she had no problem learning to feel or sense the flight of the ball as a path of energy. Scientists have explored the effect of imagery on physiology for over 70 years. They have found that imagery has a dramatic influence on both the voluntary and involuntary (autonomic) nervous system. Scientists have proven that imagery enhances the immune system, increases or decreases salivation, alters skin resistance, and affects vascular tone. Imagery also changes muscle activity and respiration. Mental imagery can help you alter your physiology in the direction you choose. Inge Corless, R.N. PhD did a study in which she asked the subjects to “imagine” an increase in one particular kind of white blood cell (WBC). The results were dramatic, and the subjects did, in fact, increase that one specific kind of WBC. Imagery is a powerful mind-body tool, allowing you to access a wide variety of physical functions through your mind. One of my patients wanted help to make her veins more accessible for blood draws. Her health problem required many needle pokes. My thought was that, if we could increase the blood flow to her arms, we could fatten up her veins. We did a technique called “Hallway of the Mind.” I had her walk down that internal hall and find a door marked “Control Room.” I suggested that inside the control room were dials, rheostats, and all kinds of controls for every bodily function. I asked her to look for the controls to blood flow, and then asked her to turn up the volume on the control for blood flow to her left arm. Her left arm heated up within a minute or two. When she went to have her blood drawn, for the first time in years, her veins did not collapse, “go into hiding,” or become difficult to find. Images can produce changes in blood glucose, blister formation and gastrointestinal activity. Imagining yourself in a peaceful, safe environment slows down heart rate, lowers blood pressure, slows respiration and opens the airway. On the other hand, powerful images of negative childhood experiences are accompanied by increased heart rate as well as changes in respiration, eye movement, and galvanic skin response. Scientists have proven that fearful images cause changes in heart rate, muscle tension and skin resistance. The implications of this are far-reaching. As you practice imagery techniques, you can learn to speed your own recovery from any problem. Visioneering, or “seeing” the desired outcome, is basic, but it's kindergarten level imagery. With “Inner Advisor” interactive guided imagery, the client is asked to allow their unconscious mind to present an image to serve as their guide or advisor. That image might come in the form of a wise man or woman, an animal, some aspect of nature, or something more abstract. The mind does not lie when coming up with images. Some images seem silly to people at first. Dr. David Bresler, author of “Free Yourself from Pain” and co-founder of The Academy for Guided Imagery (AGI), writes about a client whose inner advisor was “Freddy the Frog.” Our inner advisor will provide answers and solutions that our thinking mind can't solve. Just as one can visualize success, there are direct, simple imageries for countless problems. There is a direct, non-symbolic imagery that can decrease pain by more than 50% in 5 minutes. There are direct techniques for assisting sleep, decreasing anxiety, assisting with addictions, deepening spiritual connection, and anything else you can think of. The most powerful techniques involve symbols. I had worked for a few months with a woman with anxiety, depression and bad PMS symptoms. We had not gotten far enough, so I went to what I consider to be one of the big gun imageries. I asked her to get in touch with her anxiety, depression, and PMS and become aware of the thoughts associated as well as the sensations in her body. I then said, “Allow an image to emerge that represents this entire experience.” What immediately came to her was an image of a leprechaun. Once a symbol has presented itself, there is a systematic way of dialoguing with that image. I saw her two months later. She was free of anxiety, depression, and all of her PMS symptoms. In addition, something shifted inside her to free up a long-held desire, namely to learn the flute. She had purchased a flute, met with a flute instructor and had begun to transform the creative side of her life. A 60-year old man came to me with the desire to improve his asthma, which he had had for 55 years. I asked him what had been going on when he was 5 years old, the onset of his asthma. He had been on vacation with his mother in Latin America, and got separated from her for many hours. I asked him to close his eyes, go back to that experience and see what was going on. Immediately, he experienced the fear and helplessness he had felt, along with the frightened screams for his mother, which did not have any effect. I guided him through a journey of that experience, wandering through the streets of a foreign country, crying, and calling out. He could feel the constriction in his lungs as we continued. He spontaneously saw a crow fly into view and he began to dialogue with it. This was a “movie of the mind” that included symbolism. It was not a straight symbolic image like the leprechaun imagery. I saw him a month later. He had become symptom free, requiring no medications. I did not see him again, but I called him every few months for several years. His asthma never returned. Imagery is the language the mind uses to access the mind-body connection to make desired changes in physiology or performance. You can visualize a skin wart shrinking and then disappearing. Most of the time that will work. However, you cannot use your thinking mind to help you. Simply talking to the wart, and saying, “Please go away,” won't help. Words are not the language the body can understand. Imagery is an inborn mental function. We use imagery every day, but the most common form of imagery is worry. When we worry, we are picturing negative outcomes.